A couple of weeks ago I wrote about my first attempts at sewing with merino jersey. Although my pink Paola Turtleneck Tee wasn’t a winner due to the lightweight fabric, my other merino jersey projects have been far more successful – starting with this Pattern Fantastique Glacial Tee in Argent Grey 100% Merino Jersey Knit 200g from New Zealand Merino and Fabrics. The Glacial Tee is an offering from a Melbourne pattern company, designed for merino jersey to create a slim fit without bagging or cling. It comes with several variations for sleeve and body length, plus pattern pieces for a ribbed neckband, narrow self-neckband or a high neck skivvy/turtleneck. That’s a good number of variations. Nothing like buying a t-shirt pattern for $20 with no variations to make you feel like you’ve been ripped off. Despite how happy I am with the finished result, my experience with this pattern got off to a rocky start when I found there were no instructions included! 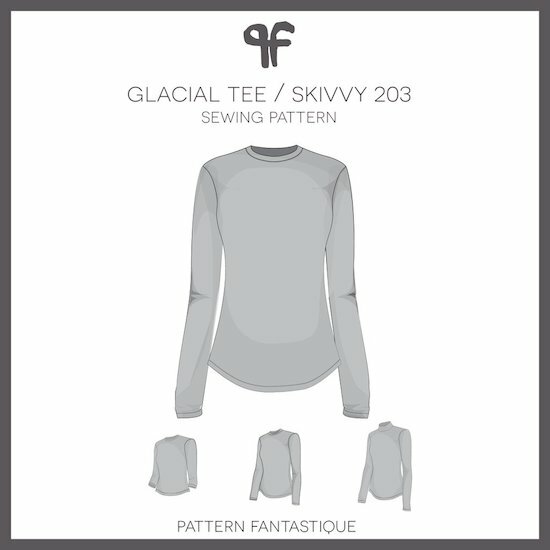 After a shocked Instagram post and a brief chat with Nita-Jane from Pattern Fantastique, it transpired that the Glacial Tee was the first in a series of PDF patterns to be offered at a low price point, sans instructions. 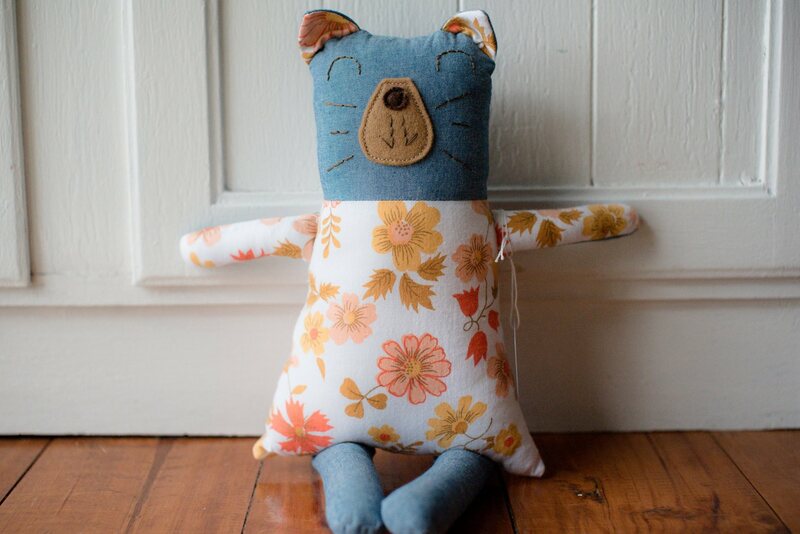 As the pattern listing was not clear when I purchased it, Nita-Jane refunded me and changed the listing to better reflect the nature of the pattern. I usually wear it tucked in. When you purchase this pattern, you receive the printable pattern in two formats (A4 and A0), plus a brief description of the pattern with cutting layouts. Further information regarding the pattern variations, fabric requirements and size chart are on the pattern listing, with a few generalised tutorials for tee sewing on the Pattern Fantastique blog. 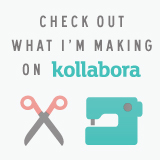 The top went together fairly easily – it is a knit tee! 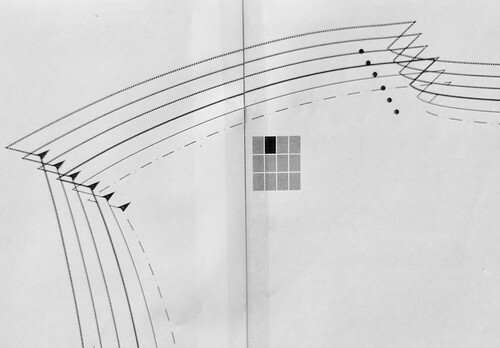 – but there were a few differences in construction that I thought worthy of note. Firstly, the seam edges have a small, pointed extension, which are designed to help feed the garment through an overlocker. (I trimmed these off, not because I think they would be unhelpful, but I am so easily confused I knew they’d trip me up when I got to sewing!) 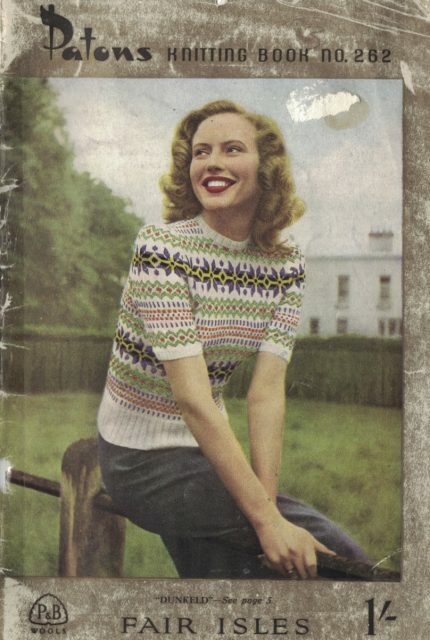 Secondly, the pattern calls for strips of fusible interfacing to stabilise the back shoulders and neck, rather than clear elastic which seems to be more commonly employed in knit patterns. Nita-Jane explained she “would also suggest stay tape over jelly tape as it has a much longer life span and make for a smoother finish. Jelly tape was designed for lingerie to be sticky and keep bras in place it’s a cheap alternative in general garment manufacturing.” You can read about how to DIY your own stay tape on the Pattern Fantastique blog. The only issue I ran into was a fault entirely of my making – I cut a neckband piece that was the wrong width (how?) and attached it with too much tension (how??? ), creating a very tight and narrow neckband. Of course, I only realised when I was proudly wearing the completed tee out and about! Thank goodness I had enough fabric to cut a new neckband, and I’ve learnt that merino jersey needs very little tension applied when inserting an neckband. I am thrilled with the end result. I know I say this about a lot of my creations, but I wear this top all the time. It also pleases me that I’ve come to the point in my sewing where I can see a RTW garment, decide I can make it for less than purchasing it, and feel the end result is comparable in quality, rather than being some janky DIY knock-off. This is in no small part due to the fabric – it is excellent quality merino jersey for such a low price, and 200gsm is the perfect weight for tops. I am happy to report that I sewed both this and the 180gsm jersey from The Fabric Store without prewashing (as suggested in the pattern blog posts), and both have survived a machine wash or two with absolutely no shrinkage. Like I could resist this fabric? 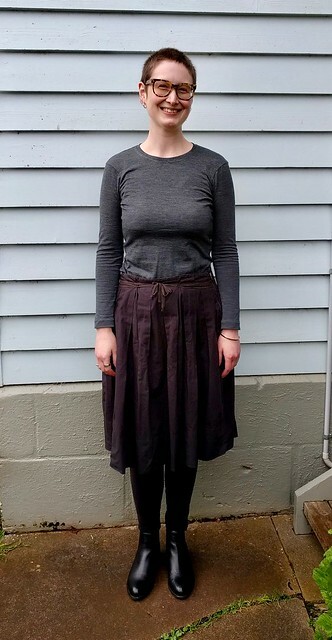 The drafting in this pattern is excellent, and I’d recommend it to anyone who wishes to sew a beautiful winter wardrobe full of lush merino tops. I do have some reservations regarding the lack of instructions, namely that the internet isn’t forever (as Photobucket users are finding out!). 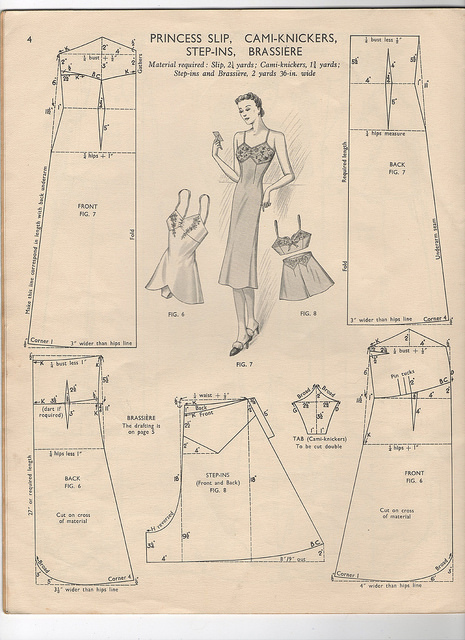 For this reason, I think it would be useful to have at least a size chart included with the pattern and possibly a short dot point list of construction order (no illustrations necessary!) so future users may not be put off if directed to a non-existent website. If it’s not high winds ruining my photos, it’s cat butts. Details: “This is a classic base layer. Chic, super high neckline, streamline shape with a subtle shirt-tail hemline. The broader shoulder line and sculpted armhole gives this wardrobe essential a modern point of difference. Designed with requirements of Merino Knits in mind. Maximise the Glacial’s snuggly, thermal potential of this style.” Available as a PDF download (A4 or A0), sizes Aus 6-16. Thanks for reviewing this pattern – it looks great on you. I’m a BIG fan of merino (Sitting here in two layers of merino now, and feeling cosy). Enjoy! I’m a recent convert to merino knits, and like you have 2 layers on right now! Siobhan, Thanks for your great review. I purchased this pattern (pdf) a few months ago; I thought it would work with the merino I’d bought. And I was looking for reviews–yours was really helpful. 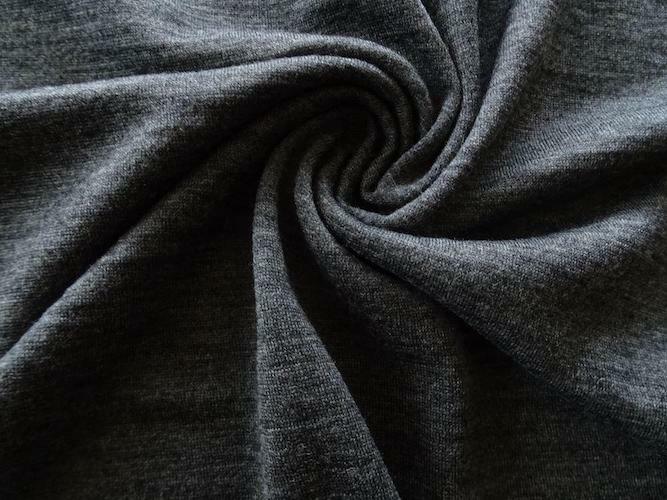 I also got my merino at the Fabric Store–shipping it to the other side of the world (New York) made it somewhat more expensive (oik, the ‘precious’ factor). I’ll probably hold off on making the tee a little longer (I have minimal experience sewing knits and I’m just now learning how to use a serger) until I’m reasonably sure I’m not going to wreck it right off. But it’s given me more confidence to see how wonderfully yours came out–it looks really terrific on you! I’ve missed you at patternreview–I’ve got mixed feelings about that site, but you were definitely a bright spot! Your style–and your styling! Oh well, I guess I’ll catch up with you here. Thanks, again! Hi Frances, I’m glad my review was helpful to you. I thought there was a Fabric Store in LA? Or can you only order online from New Zealand? This is the complete opposite of my experiences as I’m usually bereft of fabric in the antipodes and need to order from the US! Life has been a bit hectic of late (I mentioned it in my published blog post) so I’m afraid Pattern Review has fallen by the wayside. That’s kind of you to say, and I’ll have to really try to get back to posting reviews – I’ve got a few garments that just need photos and a quick write-up done. I kind of bailed out on sewing for a few months myself. 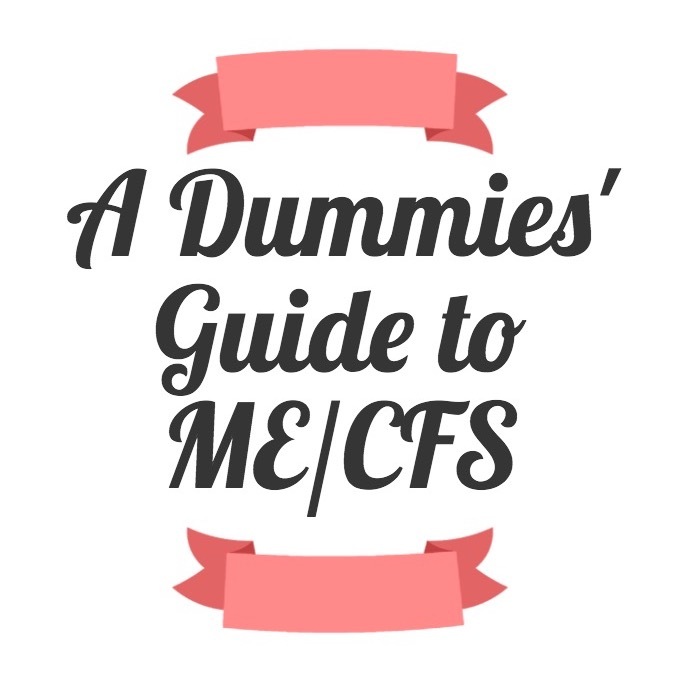 How long have you had CFS? A colleague is spreading awareness of Lyme disease, a fast-growing epidemic here that has similar symptoms to CFS and similar incredulity/dismissal on the part of Western medicine. I hope you’re in better health now–I know it’s a day-to-day thing. Thanks, it can be quite unpredictable. I’ve been unwell for 7 years, or most of my adult life. I don’t know that much about chronic Lyme disease to which I assume you refer (as opposed to short term Lyme disease which is treatable with a course of antibiotics). It seems there is a lot science has to discover about chronic illness. I’m sorry you’ve been unwell for so long. But considering your health it’s amazing and impressive how much you manage to accomplish! Science has much to discover? What an understatement. Are you still looking for a dress tee? 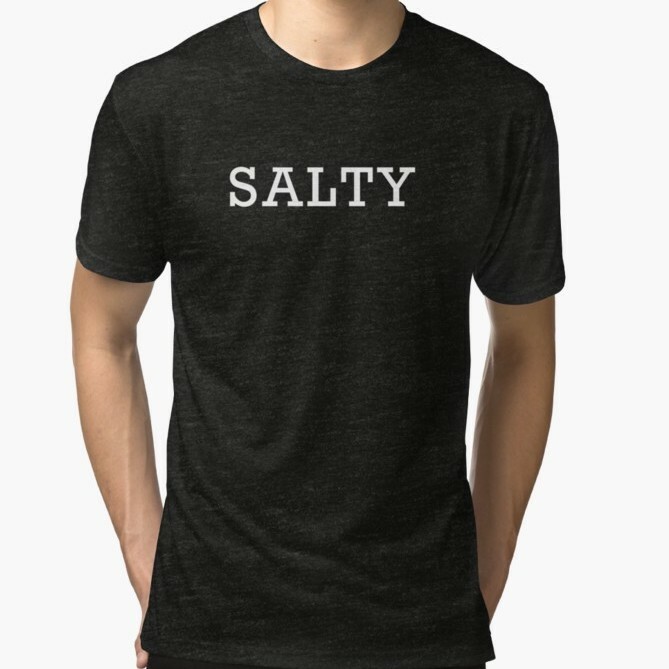 I think this one’s nice, and it’s gotten good reviews: https://www.namedclothing.com/shop/inari-crop-tee/ Of course, you may loathe it. Thanks for the recommendation! I’ve already sewn it and love it. I’ve actually got a tee variation ready to be blogged when I have the energy. Cool, I can’t wait to see it!